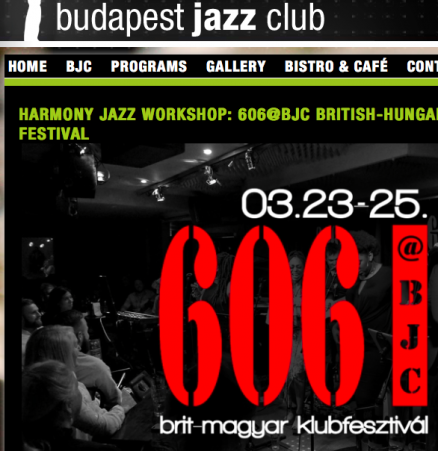 I shall be returning to the Budapest Jazz Festival courtesy of The 606 Club and it’s collaboration across the seas. I shall be sharing the stage with Cseke Gábor – piano, Oláh Péter – bass and Jeszenszky György – drums. Looking forward to playing and singing music from my 2nd album ‘Beautiful’ and throw in some soul/funk flavours as well.